“Are you ready? Let’s get started!” Audio has always been a core element of e-learning, and today — with the rise of avatars, games, simulations, podcasts, and m-learning — it plays an even more integral role. Tasked with writing both the text on screen and audio scripts, it can be easy for instructional designers to lose sight of the necessary differences between writing in these two styles. Based on my experience coaching instructional designers, here are five tips to create the best soundtrack for your e-learning courses. Connie Malamed, The eLearning Coach, discusses these in depth in her reference guide, No More Spilled Ink: Writing for Instructional Design. 1. Write like you talk. The tone of most courses is not extremely formal, so you don’t want to come off sounding too academic or stiff in the audio. Can you say “boring”? Write your audio script just as you would naturally speak. Use short sentences, everyday words, and contractions. Also, don’t be afraid to use common idioms, as long as they are generally understood and culturally appropriate. Learners can only process so much information at once. Present small bits of information at a time, and get to the point quickly. Less is more! Use only one idea in each sentence. The recommended length of a sentence for an audio script is around 25 words. That’s just a general guideline, so don’t be too rigid. Mix short sentences with slightly longer ones for variety. Pausing gives learners an opportunity to process information. This learning principle actually helps us out in e-learning courses. The audio script often aligns to the on-screen action, and you may need that extra second to add bulleted text or build a graphic. Indicate these breaks with an ellipsis (…) in your script; this alerts the audio talent to wait “one beat” before saying the next line. 4. Drive the page with audio. Text, bullets, and graphics that build on-screen and are timed with the audio keeps learners engaged. But what happens when the onscreen text matches the audio exactly? Yawn! Avoid this common e-learning faux pas. On the other hand, don’t add a lot of on-screen text that is completely different from the audio track. This is very confusing to learners because what they’re hearing does not match what they’re seeing. Remember, learners can digest content better when there is more white space on a page. Check out this casual demo I found. The author does a great job illustrating how the same audio piece becomes increasingly impactful when you cut back on the amount of text and use graphics timed with audio. 5. Read aloud and feel the beat. 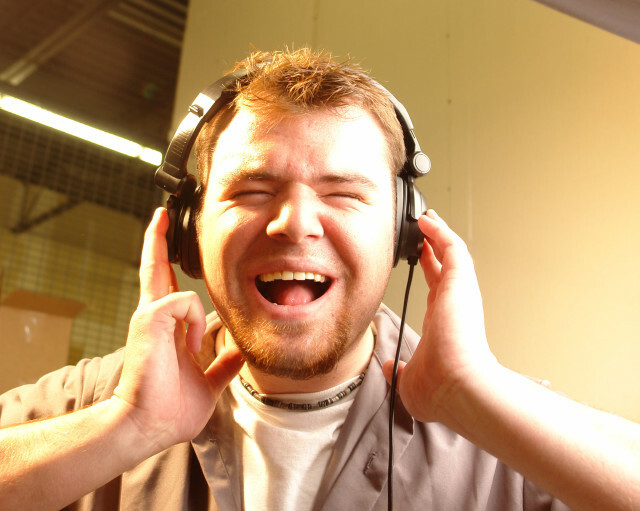 Pretend you are the audio talent for the course! During your first read-through, you’ll most likely find odd phrasing and sentences that don’t allow you to take a breath. Also, pay attention to the rhythm of the sentences and phrasing. It may be rather subtle, but there should be a natural, easy rhythm to the words, phrases, and sentences as they are grouped together. If you find anything that is off-beat, tweak it so the timing is right. After revising any trouble spots, read it aloud again. Repeat the process until your script is has a smooth and consistent tempo. With these tips in mind, you’ll be ready to rock your next audio script!